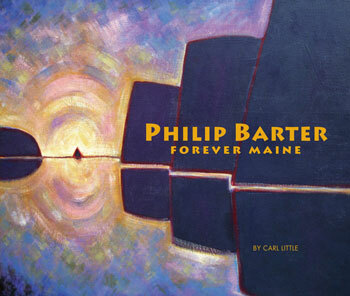 Philip Barter: Forever Maine When, in his twenties, Philip Barter (b. 1939) discovered Marsden Hartley, he felt a calling: to further the vision of the great American modernist. This was an ambitious undertaking for a brash, self-taught artist from Boothbay, Maine, but Barter’s passion for Maine and its fiercely independent people gave his work a unique, unencumbered vision. Barter was prolific, and he spent a half-century painting the landscape of his home state, becoming the “painter laureate” of the region. In Philip Barter: Forever Maine, award-winning author Carl Little traces the painter’s life from a formative trip to California in the 1960s; to downeast Maine where Barter and his wife, Priscilla, made a life immersed in art and built a funky home and studio from driftwood and barn boards for themselves and their seven children; to critical acclaim for Barter in the 1990s and his most recent paintings from 2016 and 2017. This book highlights a choice selection of masterful works that reflect Barter’s increasingly abstract inclinations in depicting Maine landscapes, from the coastal estuaries and blueberry barrens of Washington and Hancock counties to the western mountains and lakes, and north to Hartley’s iconic Mount Katahdin. Barter also explored the world beyond Maine, painting in Spain, Newfoundland, Greenland, the American Southwest, and elsewhere, employing a palette as bold as his vision of his surroundings. Of his narrative paintings Barter says, “The narratives I paint are historical documents of the characters of Maine and the places they frequent, a roguishly, independent people whom I seek out, and try to be with, and who make this place I know the one-of-a kind place it is—forever Maine. Author Carl Little offers a compelling account of Becton’s progress as an artist, from his studies in graphic design and photography at Yale in the 1970s to the creation of his signature digital montages over the past twenty-five years. He explores Becton’s fascination with vintage New England houses and their furnishings, and how the artist draws upon his surroundings on the coast of Maine and elsewhere to create surreal scenarios that hark back to René Magritte, as well as Edward Hopper and Andrew Wyeth. Appreciations by art writer and novelist Deborah Weisgall; Dan Mills, director of the Bates College Museum of Art; and art critic Peter Plagens help complete this portrait of a master of photo-based art. 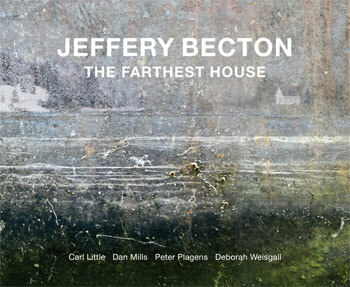 Published by Marshall Wilkes, the book features 68 reproductions of Becton’s work—montages that invite you to explore his enigmatic world in The Farthest House. 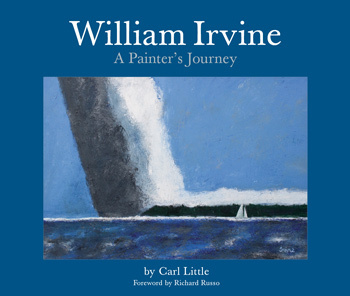 The painter William Irvine’s journey in art began in the town of Troon on the Scottish coast where he was introduced to modern art through the collection of whiskey magnate Johnnie Walker. After graduating from the Glasgow School of Art and serving in the Scottish army, Irvine came of artistic age in London where he was a part of a lively avant-garde scene. Moving to downeast Maine in 1968 proved a turning point: harbors, islands and boats, the sea and the sky, inspired bold work that combined Irvine’s abstract instincts with new pictorial concepts based on the landscape. In the ensuing forty–plus years Irvine has established himself as a Maine and American master, known for his seascapes, as well as enchanting figurative paintings and still lifes.William Irvine: A Painter’s Journey features a stunning selection of his work, from early abstractions to an array of landscapes inspired by Maine but also by Scotland, England, and France. Writer Carl Little’s text covers the painter’s life in art from his formative years in Scotland to a visit to his new studio in Brooklin, Maine. Pulitzer Prize–winning novelist Richard Russo offers an affectionate appreciation of the artist. One of Maine’s most beloved artists, Francis Hamabe was born in 1917 in Orange, New Jersey, to a Japanese father and Swedish mother. He served in World War II and attended the Rhode Island School of Design. Moving to Maine in 1947, Hamabe established himself as a sought-after painter, printmaker, ceramicist, and puppeteer. A dedicated teacher—he was the first art instructor at the Farnsworth Art Museum and later taught at the University of Maine at Machias—he also served as art director for Down East and Maine Life magazines and for the state’s first public television station in Orono. The Art of Francis Hamabe offers a selection of his work, from dynamic modernist oil paintings and lively Sumi ink abstractions to his well-known screenprint posters. 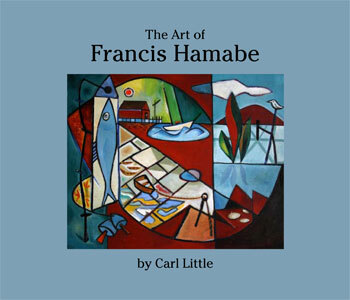 Writer Carl Little weaves an engaging narrative of the artist’s life and art illustrated with vintage photographs and examples of Hamabe’s witty and stylish graphic work. Paintings from the Colby and Bates College museums and the University of Maine Museum of Art are featured, along with numerous works from private collections, many of them reproduced for the first time. Carl Little is the author of Edward Hopper’s New England, The Watercolors of John Singer Sargent, The Art of Dahlov Ipcar, and Eric Hopkins: Above and Beyond. His book Eric Hopkins: Above and Beyond won the first John N. Cole Prize from Maine Writers and Publishers Alliance. He is a regular contributor to Art New England, Ornament, and Maine Boats, Homes & Harbors. An ex–New Yorker, Little moved to Maine in 1989; he has written and lectured on Maine art ever since. His poetry has appeared in a wide range of journals as well as in Ocean Drinker: New & Selected Poems and two anthologies edited by Wesley McNair. A resident of Somesville on Mount Desert Island, Little is director of communications and marketing at the Maine Community Foundation. Published by Marshall Wilkes, Inc. 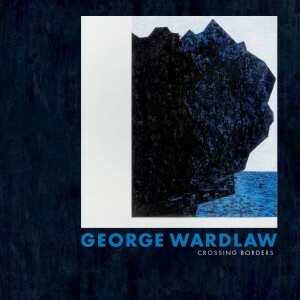 Crossing Borders presents over 180 full-color plates and illustrations, representing six decades of work by American artist George Wardlaw (b.1927), the first comprehensive account of this remarkable body of work. Critical essays by J. Richard Gruber, Ori Z. Soltes, and Suzette McAvoy characterize Wardlaw’s work, placing it in context with the significant art movements of his time, beginning in 1948, with non-objective painting and tracing his journey across geographical, physical, intellectual, philosophical, and spiritual boundaries. Never confined by categories, Wardlaw explores medium, form, scale, and color as a lifelong dialogue between abstraction and spirituality. From his Baptist and Native American roots to Judaism, from the rural south to the urban northeast, from painting to sculpture and back again, Wardlaw produced series after series of profound artworks on his quest for creative and spiritual resolution. Throughout his career, Wardlaw devoted his life to making art, driven by his passion and desires rather than responding to popular trends. This freedom of expression yielded a significant and impressive body of work—one that reveals a unique story, both personal and universal, weaving one man’s perspective into the larger canon of twentieth-century American art.